Graduation is an emotional time for a lot of students. They are getting ready to leave the school they have attended for four years. They are leaving their friends and starting a new chapter in their lives, and it seems like everything is changing quickly. 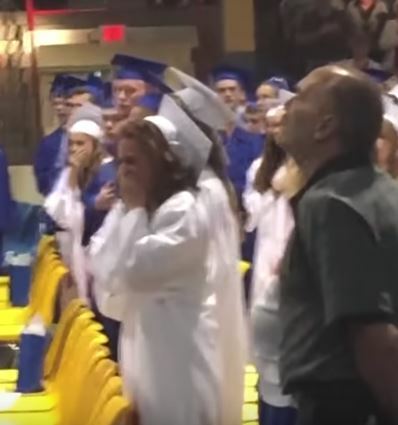 Most shed a few tears in the days leading up to the actual event, but by the time they collect their diplomas and walk across the stage, the tears usually have turned to smiles and excitement. 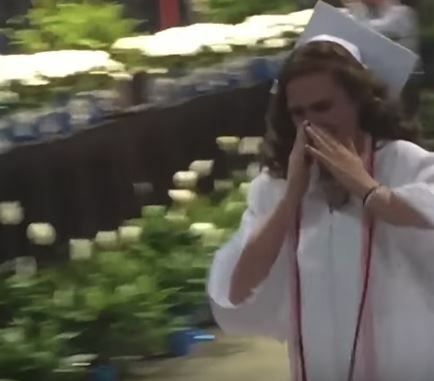 One girl shed a lot of tears at her graduation, and for a while, nobody was sure why. That’s when Miranda really let the tears flow. 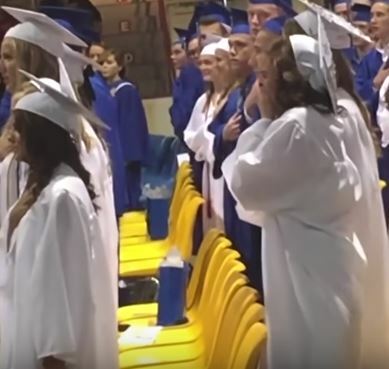 Her classmates could hear her sobbing beside them, and they weren’t sure why. They didn’t know that the guest speaker was Miranda’s brother, Derek. Once it was announced for everyone to be seated, Miranda took off for the stage. Her classmates and audience were still shocked at her behavior. 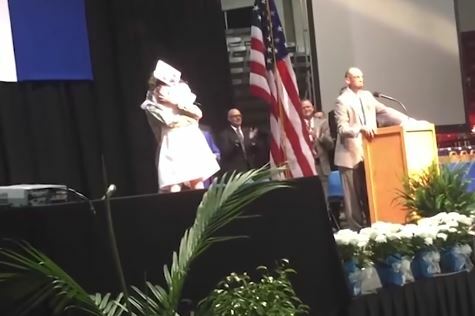 When she hugged the guest speaker, they all finally realized it was someone she knew. Miranda’s brother is an airman, and he had been serving overseas. 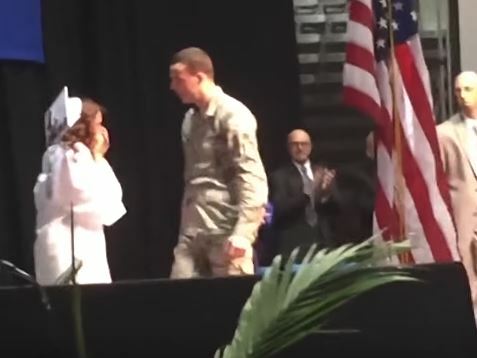 She didn’t know he was going to be at her graduation, and she was pleasantly surprised to see him. Derek didn’t want to miss his sister’s special day, and he decided to show up without telling her. She couldn’t believe he was really there, and the audience enjoyed looking on as the two were reunited. As soon as they finished hugging, Miranda went back to her seat. After all, she still had to graduate, and she was holding up the entire process. 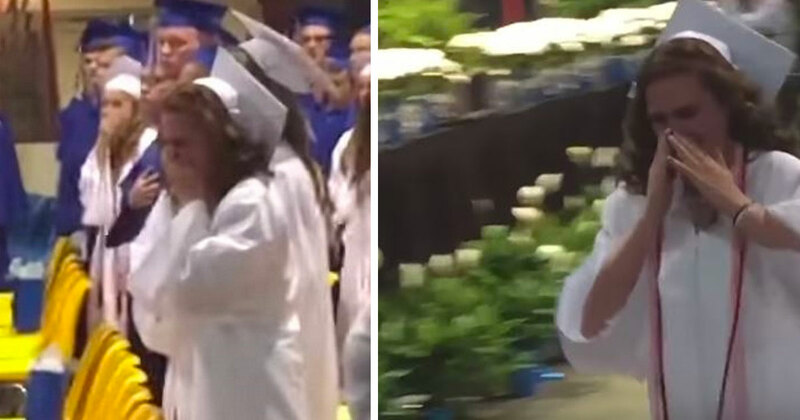 Her brother watched proudly as she walked across the stage and claimed her diploma. She was officially a graduate, and he was there to watch it all. Although the day was memorable for all the teens, Miranda’s brother made it extra special for her. When a family member joins the military, they have to miss out on a lot of important things at home. They don’t know what they will get to be a part of or what they will miss. It’s just as hard on their family members to go through these special times in their lives without having their loved ones there to be with them. Miranda and Derek are close, and while he was away, there was a void in her life. 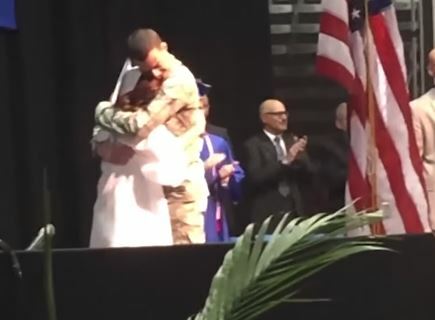 She missed him every day, and as graduation got closer, she felt sad that he couldn’t be there to watch her get the diploma she had worked so hard to receive. Her family members knew he was going to be there to watch her, but they preferred to keep it a secret. They thought it would be more special if they surprised Miranda. It turns out they were right. She was thrilled to see him on that stage. The other students didn’t mind the delay, either. Most of them had attended school with Miranda for years, and they knew how close she was with her brother. They were happy to see the two reunited. The school had no problem making the arrangements, either. Miranda was a good student, and they were also aware of her relationship with her brother. When the family called the school and told them about their plan for graduation, they were more than happy to help. They wanted to arrange for Derek to be the first person Miranda saw when she came in with the rest of the students. They knew it would make graduation so much better for her. Everyone there was touched by the reunion and happy to be a part of it. Miranda will remember this moment for the rest of her life.